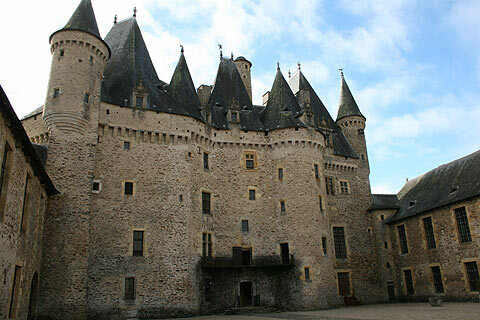 If you make it to the most north-eastern corner of the Dordogne department, beyond Thiviers, you will find the delightful fairy tale castle of Chateau de Jumilhac. 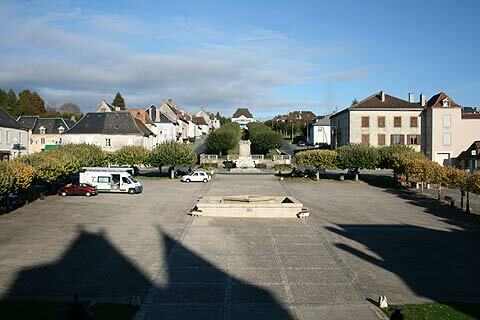 Jumilhac is found in a picturesque setting very suited to the castle. 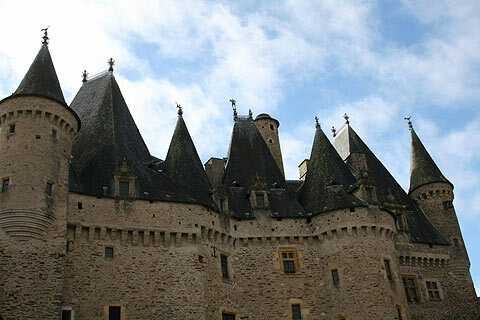 The especially noteworthy feature here is the roofs - an extravaganza of towers and turrets that has led Jumilhac to be described as having the most romantic roofs in France. The myriad of turrets are then further enhanced by splendid ironwork and lead creations. The interior of the building follows much the same romantic theme, and features some ornately decorated rooms. The first count of Jumilhac was an alchemist and whilst this was forbidden at the time he left clues of his alchemy in the chateau. These are explained on the guided tour and include clues on the roof itself. On the roof there are three angels, one represents masculine, one feminine and one neutral - these three states are important in alchemy. There is also amongst all the wonderful fairyale round turret roofs a tall chimney-like turret which, along with its position on the roof, looks like the kind used for an alchamists oven. 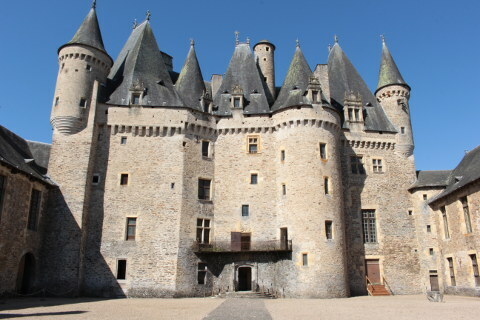 Parts of the Chateau de Jumilhac date back to the twelth century. 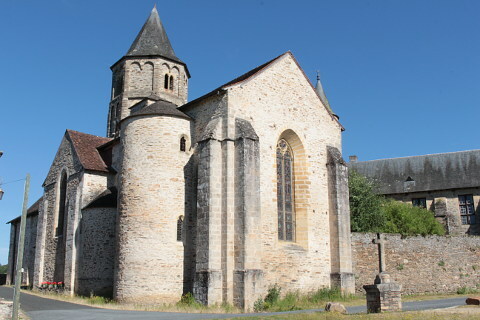 It was an important defensive chateau in the 13th century. 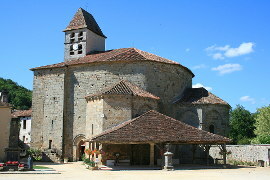 During its history it has been destroyed and rebuilt several times. 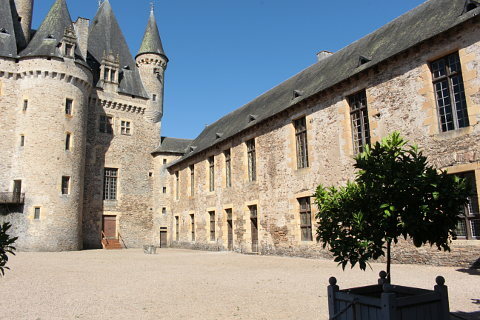 During the Renaissance period parts of the castle were altered and made much more habitable with large rooms with lots of windows and beautiful wooden floors laid out in patterns. The kitchen has a large selection of copper pans and moulds. There is also the room in which Louise de Hauteford was imprisoned for thirty years whilst her husband was away fighting. He wanted to make sure she couldnt meet other men whilst he was away. And indeed she had a lover who she communicated with by hiding letters in sewing bobbins - their sole means of communication for thirty years! The room is known as the 'Chambre de la Fileuse' as her spinning wheel was almost her only activity during this time. 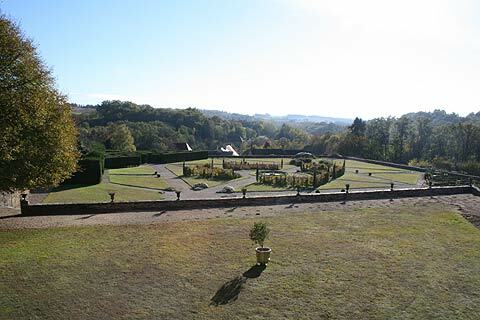 The chateau also has attractive terrasses with french style gardens. Continuing the alchemy theme the gardens have been laid out with a 'gold garden' and a 'silver garden'. 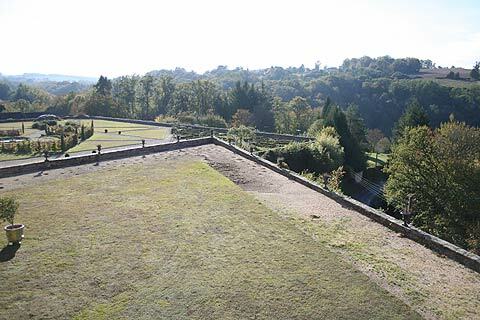 If you look out over the town of Jumilhac from one of the balconies of the chateau you can see that this was once also the garden of the chateau - it is laid out along long sweeping avenues. As this land was sold houses have been built along the edges of the existing avenues. 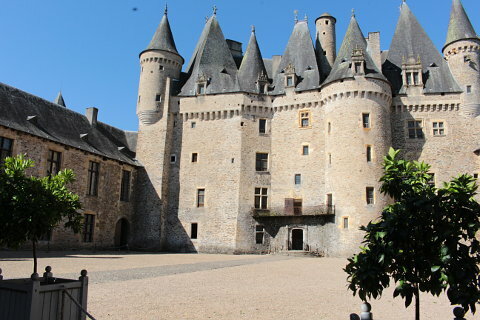 Some scenes of the film 'Le pacte des Loups' were filmed here and Eugene le Roy a famous French authour (Jacquou le Croquant) was married here. The chateau is open all year except Christmas day and New Year. From June to September night time visits are available on Tuesday nights. 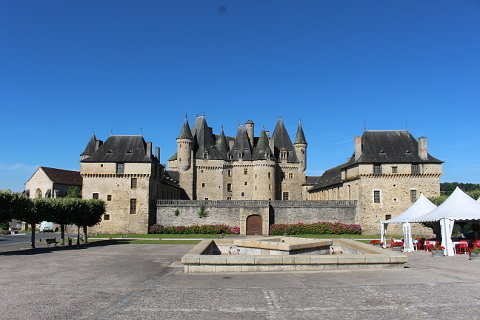 The Chateau de Jumilhac is on the 'Route of Richard the Lionheart'. 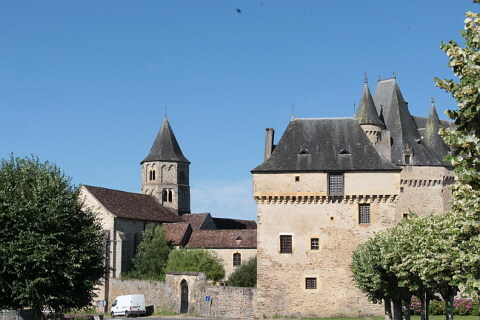 This route is a line of castles and villages who took advange of Richard going off on crusade to fortify their castles and towns against his return. 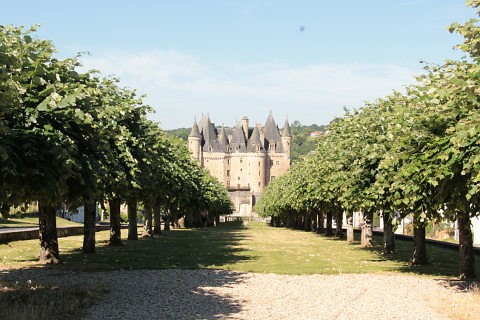 Jumilhac is also on the 1001 chateaux route. 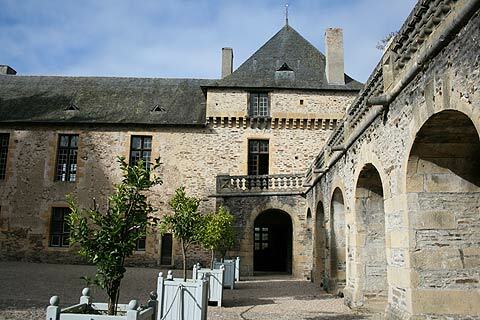 Near to the Chateau de Jumilhac in an ancient winery there is a small museum dedicated to gold, the Galerie de l'Or. Here you can learn about the gold panning that took place in this area and its uses in money, jewellery etc. It is possible to go panning for gold on the banks of the river l'Isle. Lessons take place twice a week in peak season. Ask at the tourist office for details. 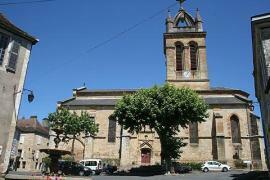 Saint-Jean-de-Cole is nearby and is one of the "prettiest villages of France". 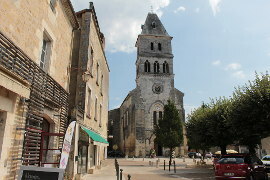 Excideuil is an attractive town and worth a visit too.